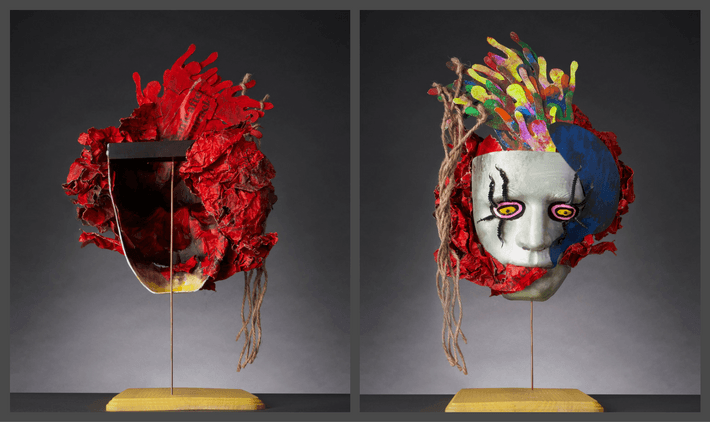 At this workshop participants will learn how Puppet Making and Art Therapy were incorporated to serve different populations; research that supports the program; and how we are developing tools to evaluate it for funders. Participants will also get the chance to create their own puppet, write a monologue, and perform in front of others if desired. Come join us for the opportunity to create, play, move and learn! Breakfast and refreshments provided. In 2015, Wendy Passmore-Godfrey and Allan Rosales met over a cup of tea to discuss how puppet making and art therapy could be used to support vulnerable populations. Since then, the View from the Inside Workshop has had over 125 participants. Indigenous youth, afterschool programming, foster children, girl guides, Syrian refugee teens, adolescents at an alternative high school, homeless adults, adults with mental health concerns, women at a domestic violence shelter, and seniors, have all participated in the program. Their artwork also resulted in exhibits in Calgary at The New Gallery +15, United Active Living, and This is My City Festival and viewed by an estimated 100,000 people. Most recently grants from the Calgary Foundation and Education Matters will allow the View from the Inside Workshop to be delivered to vulnerable seniors and youth in 2018. > click for registration information! > learn more about View from the Inside! Wendy Passmore–Godfrey, BFA; founded WP Puppet Theatre Society in 1991, and is full-time Artistic/Managing Director and principal performer. 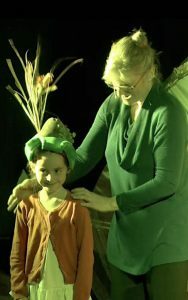 Wendy has written, designed, built and performed over twenty innovative and explorative productions that have been seen by thousands of children and families in Canada and overseas. She recently received the Puppeteers of America Marjorie Batchelder McPharlin Award for Education, for her teaching through, in and about the art of puppetry in school residencies, professional development and community engagement. 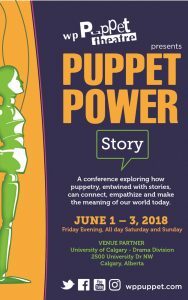 She chairs Puppet Power – a biennial, international conference on how Applied Puppetry can address the social issues of our time such as literacy, multiculturalism, fear, generational gap and more. She is a member of UNIMA – Canada/USA and served on the Puppeteers of America board for five years as well as supporting local and regional arts organizations. Wendy believes that puppets have a special power as metaphors and proxies, and stories have a power transcending time & culture. She sees that puppets help diverse groups of people to better understand each other, promote diversity, tolerance and provide a creative platform to express controversial and significant social issues. They bring joy, creative outlet and help us tackle emotional and social issues. She is a visual artist and literary writer, enjoying travel and people. Allan Rosales, MA in Art Therapy; was born and raised in Calgary only leaving briefly to complete a Masters in Art Therapy and work at Concordia University in Montreal. With over 10 years of clinical experience Allan has facilitated art therapy programs for suicidal youth; adults with disabilities; women and children escaping domestic violence; and adults affected by cancer. Currently, Allan consults independently in Calgary, is a practicing professional artist, yoga teacher and an instructor at Mount Royal University.